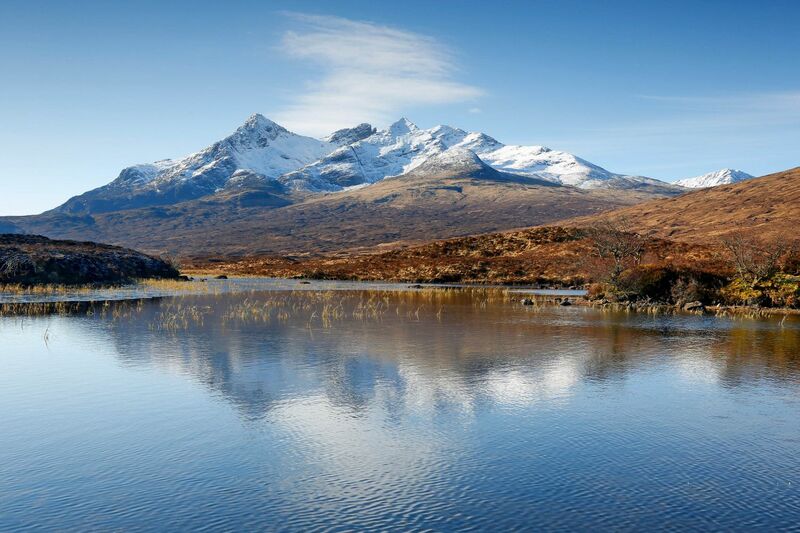 It's always great to capture the Black Cuillin reflections from Sligachan. If you walk in a northerly direction away from the bridge there are a few lochans where this image can be taken. Search them out as they make great foreground interest especially on a still morning.